Kath went to Sri Lanka with VESL in 2009. She was meant to go for a three month project. But loved it so much, she stayed for a year! And she's been back twice since then. 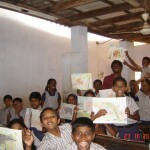 Kath has also visited VESL projects in India. 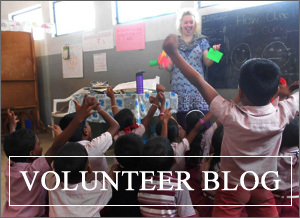 She has helped volunteers in Sri Lanka and India to get settled in to their projects. And she can been seen at VESL selection and training days, frequently throwing balls (or sunglasses) at people (in a nice way). Kath is currently studying a PGDE in Secondary maths at Edinburgh University and is looking forward to seeing how Scottish schools are similar to and different from those in England, Australia, Sri Lanka and India. When she's not being enthusiastic about education, Kath can be found hunched over her laptop doing funky things with Excel or Access.